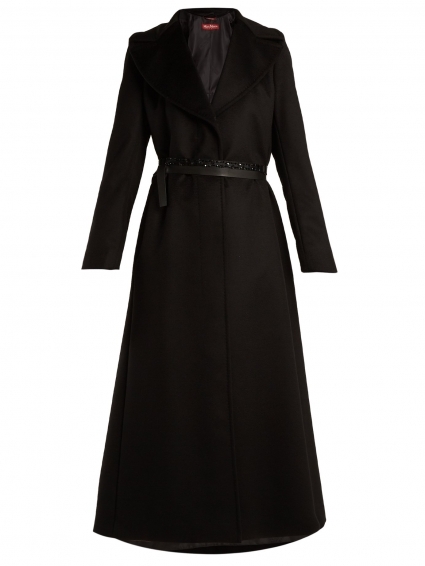 Look to Max Mara Studio for enduring, sophisticated outerwear, such as this black wool coat. The single-breasted silhouette is shaped with wide notch lapels, a box pleat at the back and a detachable belt to define the silhouette. Slip it on over tailoring and finish with jewel-encrusted mules for an opulent note.